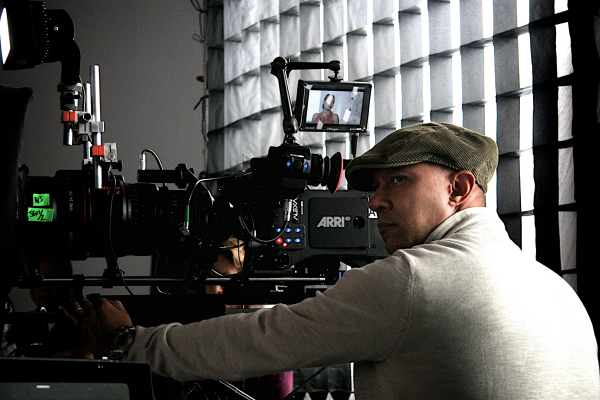 Director Lionel Coleman has joined Superlounge for exclusive U.S. spot representation. His commercialmaking runs the gamut, from tender moments (Huggies’ “No Baby Unhugged” campaign via Ogilvy), to powerful messages (Children’s Cancer Association/CCA’s “Dear Cancer”) and broad visual humor (LasVegas.com’s “Distraction Curtain” via R&R Partners). Coleman has cultivated a quiver-full of arrows in production: his most recent project is a three-spot package for Barrow Neuro Institute via R&R Partners, which he directed, lensed and edited. Coleman’s clientele in the branded arena grew to include adidas, Ford, Gatorade, Walmart, and Wilson Tennis. At one point, he recalled, “I wanted (DP) Matthew Libatique for a job and he wasn’t available. I thought, ‘I started out as a cameraman, I’ll shoot this one.’ That led me to be unafraid of shifting gears, it allowed me to dream.” As a director who could shoot and edit when necessary, Coleman was free to pursue great creative, regardless of challenging budgets. He also learned that versatility is the sister of reinvention. Coleman’s beginnings at CBS News are now bookended by his acceptance into that network’s diversity program, where he is pursuing opportunities in episodic TV, shadowing directors of NCIS: New Orleans, F.B.I. and God Friended Me. Coleman comes aboard a Superlounge directorial roster which includes Jordan Brady, Greg Popp, Russell Bates, Ben Giroux, Jeannette Godoy and John Poliquin.